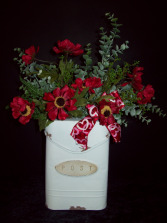 Metal postal mail box with red silk flower anemone flowers and Valentine heart ribbon. 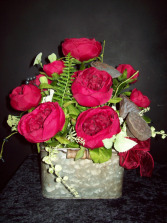 SILK OPEN RED ROSES IN TIN CONTAINER. Red open rose silk flowers with dried lotus pods in a handled bucket tin container with red ribbon. 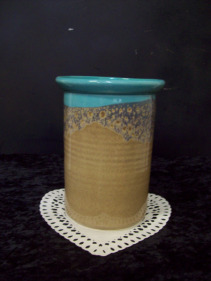 Pottery wine chiller or vase made by "Clay in Motion". 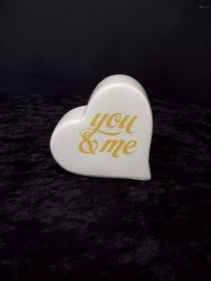 It is 7 1/2" tall and has a 4 1/2" opening and is microwave and dishwasher safe. Fresh flowers look beautiful in this piece of pottery. This is the "Mystic Water" collection. Pottery wine chiller or vase made by "Clay in Motion". It is 7 1/2" tall and has a 4 1/2" opening and is microwave and dishwasher safe. Fresh flowers look beautiful in this piece of pottery. This is the "Purple Passion" collection. 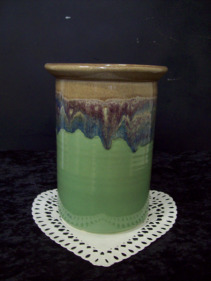 Pottery wine chiller or vase made by "Clay in Motion". 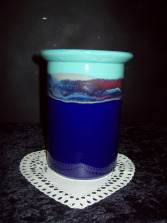 It is 7 1/2" tall and has a 4 1/2" opening and is microwave and dishwasher safe. Fresh flowers look beautiful in this piece of pottery. This is the "Misty Green" collection. 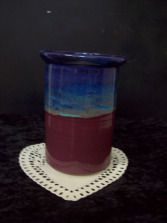 Pottery wine chiller or vase made by "Clay in Motion". 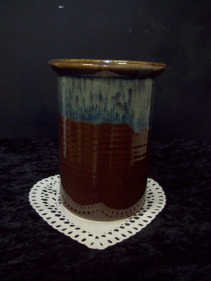 It is 7 1/2" tall and has a 4 1/2" opening and is microwave and dishwasher safe. Fresh flowers look beautiful in this piece of pottery. This is the " Island Oasis" collection. 11" plush elephant with a hanky on it's nose and a band-aid on it's tail...wishing you a get well. "Get well" is embroidered on a heart on it's hip....soft gray and pink in color. 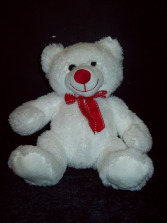 This plush animal is made by the Ganz company and is recommended for ages 3 years and older. Flowers convey a message that cannot be put into words. HEARTSTRINGS FLORIST of Dallas, OR provides a variety of fresh, fashionable floral designs to ensure that your gift is one of elegance and beauty. When you're looking for a unique hostess gift, token of appreciation or just a surprise to brighten someone's day, let HEARTSTRINGS FLORIST customize and deliver one of our many fun, decorative & luxury gifts! We create dazzling presentations that are sure to please for any gift-giving occasion. 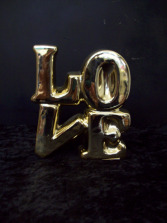 To get your custom gift items, come by and see HEARTSTRINGS FLORIST - your local Dallas, OR florist.